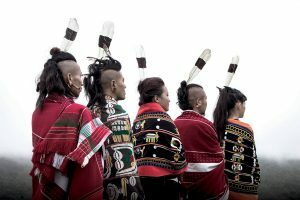 Featherheads Haokui, an indigenous Naga band based in Ukhrul, Manipur are pumped to inspire and resurrect the dying culture and traditions which was once followed by our ancestors through their music. A blend of alt-folk-rock, the Featherheads describe music as a universal language with no barrier. “Through music we are spreading our culture and identity” and wish to bridge the gap between the northeast and main land India. Read on to learn more about this intriguing group! Eastern Mirror: An introduction about Featherheads Haokui. Eastern Mirror: Vision of Featherheads. Eastern Mirror: How do you describe your music? Any specific genre of the band? 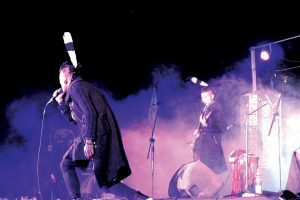 Eastern Mirror: Seeing the growing number of talented musicians in the region, do you think music can play a role in bridging the gap with mainland India? Featherheads: Yes, very much, music is a universal language and it has no barrier, through music we are spreading our culture and identity so we very much fill in the blank. Featherheads: Our ancestors, nature, positivity, and also each and every talented musician of the world who inspires us every day. Eastern Mirror: Who writes for the band? Kindly elaborate the artistic process of Featherheads. Featherheads: Augustine Shimray the founder of Featherheads is the brainchild behind Featherheads. He keeps scripting down what inspires him, turns the pages off and on, fills in, again and again, hums and strokes the guitar or without, gets hold of the melodies whenever it strikes, we all settle down and play our role, the song comes to life. Also, we collect and learn our ancestors’ folk songs, contemporise it and put more notes and melodies, but the lyrics and stories remain the same. 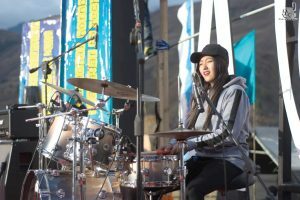 Eastern Mirror: How is the music scenario of Manipur like? Is it advisable to take up music as a professional career? 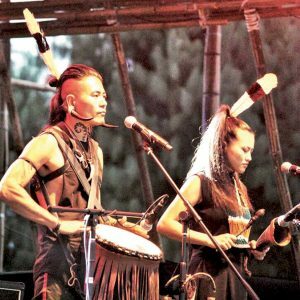 Featherheads: The music scenario here is Manipur is really sad, we hardly perform in our own state besides few festivals that come once or twice in a year. As long as we have a good strategy and are willing to sacrifice everything for music, it is risky, we people lack consistency, we try but we give up too soon, that’s where we need to work out. 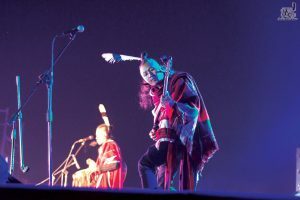 Eastern Mirror: If given a chance to perform with a musician from Nagaland, who would you choose and why? 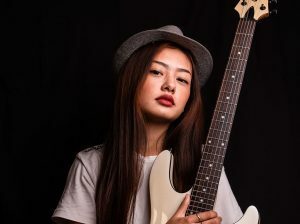 Featherheads: That’s hard to spill or decide as Nagaland has so many uprising stars but depending on the roles, Nash Longkumer the guitarist of UDX/Tali Angh, he has the skills, and the right energy on the stage. Eastern Mirror: Any message to the music lovers of the region? Featherheads: Adore and respect your roots, that is who we are.